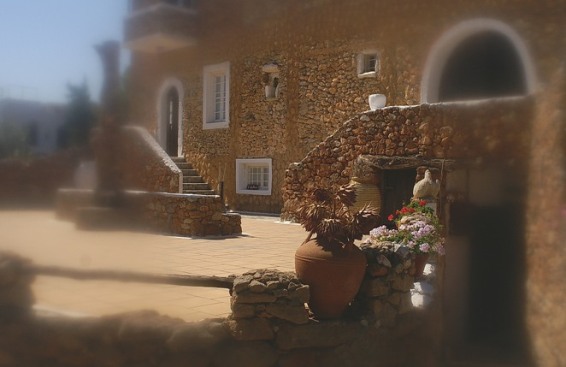 Documentary Film "The Light inside"
Yiorgis Markakis, an 86 years old ophthalmologist and founder of the Cretan open-air Museum “Lychnostatis” in Hersonissos, Crete, reveals the treasures of his memory, “everything that he harvested with his eyes and has kept within him”. The International Committee for Regional Museums (ICR) 2014 conference in Taipei, Taiwan is an assembly for discussions on how museums create bonds between visitors, generations and world-wide cultures through use of their collections. The Cretan open – air Museum “LYCHNOSTATIS” in collaboration with the Women Association of Hersonisos “Vritomartis” participates in the events of the Region of Crete and the Hersonisos’ Municipality for the World Tourism Day with the “Festival of traditional fruits” on Friday, September 26, 2014 at 12.00. “RECYCLING GREEN : A MANUAL of PLANT COMPOST & FERTILIZING”. The Publications’ Department of the Museum "Lychnostatis" in collaboration with the Municipality of Hersonissos published the book of George Markakis “RECYCLING GREEN : A MANUAL of PLANT COMPOST & FERTILIZING”.